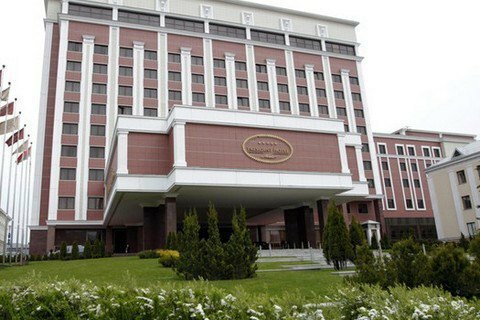 Another meeting of the contact group on Donbas ends in Minsk. Russia-controlled separatists have blocked the release of prisoners, the press secretary of Ukraine's representative in the trilateral contact group on a Donbas settlement, Darya Olifer, has said on Facebook. "The release of hostages has been blocked. Over the past week, we have been receiving alarming signals that the situation with the release of people got worse. Families have learned that their relatives were transferred from the building of the Donetsk office of the SBU [Security Service of Ukraine] to a remand centre. Ukraine demands that representatives of certain areas of Donetsk and Luhansk regions reported the whereabouts of our citizens. Earlier, the Ukrainian side suggested a 'family day' so that families from both sides could see their relatives but we have received no reply to this initiative," she said. She said the Ukrainian side described the adoption of the so-called "law on nationalization" by the separatists as a "full disassembly of the Minsk agreements". Representatives of the OSCE and Russia agreed that it ran against the Minsk agreements, according to Olifer. The representative of certain areas of Donetsk and Luhansk regions then denied reports on the adoption of the law as untrue.